climbing in India, washing machine access can be impossible to come by. For people embarking on adventures like one of these, clean clothes are a luxury. 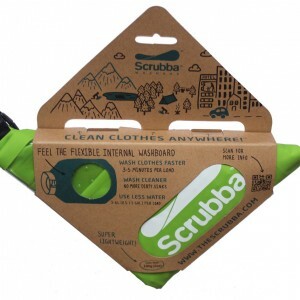 The Scrubba Washbag ($54.95 per bag – 145 grams), however, offers a lightweight, easy-to-use solution to dirty laundry. Inspired by the old-fashioned washboards of years past, this contemporary and compact reimagining needs only a small amount of detergent and fresh water to function. After rolling and deflating the bag, it only requires three minutes of rubbing against the modern, flexible washboard. The Olive Green Scrubba Wash Bag ($54.95 per bag – 180 grams) is a slightly larger model of the product, able to handle 35 more gallons of laundry, but still pocket-sized. This design is only available for shipping from Hong Kong, however. 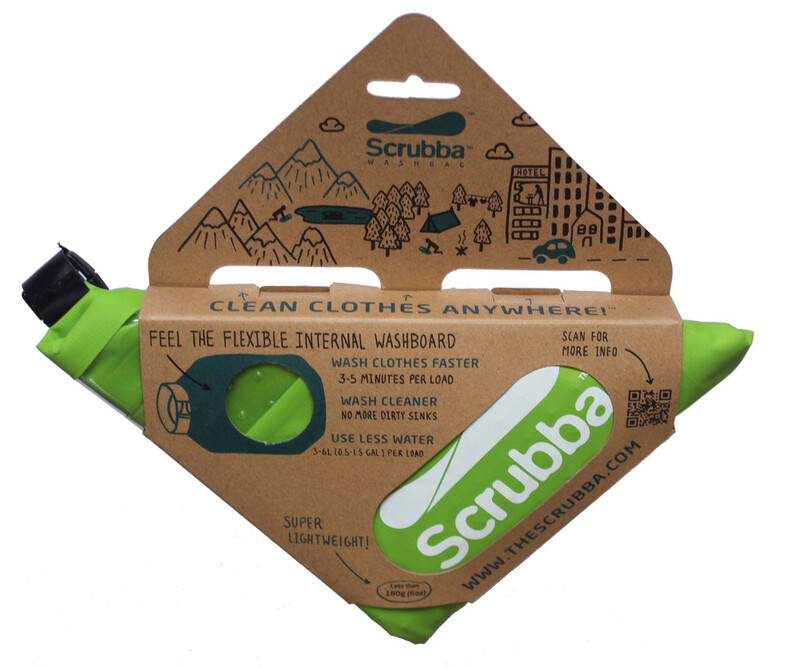 The Scrubba Travelers Kit ($89.95 per kit) includes the one missing component from this laundromat substitute: the dryer. In addition to the standard 145-gallon washbag, this kit also includes the Scrubba Travel Towel and the Travel clothes line. The 170-gram microfiber towel works to absorb most of the water in the clothes before they are hung on the 55-inch clothesline, a product complete with suction cups and hooks. Learn more about the Washbag at TheScrubba.com.